Privacy Management Group, short PMG, is an international consultancy and Corporate Service Provider, specialised in the establishment, management and administration of international companies. Generally these activities include corporate re-structuring to support the international tax planning needs of our clients, wealth protection, cross-border investment and foreign market entry. As a leading global Corporate Service Provider (CSP), we offer clients a vast experience providing the expertise of several staff across our worldwide network. We strive to understand our customers, treat them with respect, and go the extra mile to help them. Our name stands for security, service and recognition. This reputation attracts customers and business partners, inspires our staff, and is valued by customers. The Cyprus office employs Management Consultants, Accountants, Legal Advisors, Incorporation Specialists and an IT Security Specialist and maintains associations with different service providers operating in a similar field on a worldwide basis. Our Bank Account Opening and Administration Department ensures that clients benefit from efficient and reliable bank account opening services and support. Our Compliance Department and dedicated Anti Money Laundering Compliance Officer, undergoing constant trainings and updates, safeguards international compliance standards. We employ an international freelance team of legal experts, translators, internet programmers, website developers and SEO specialists who monitor and update our websites and internet operations on a daily basis. Our compliance standards are amongst the best in the industry, ISO certified and where required, we are a Licenced Corporate/Administration Service Providers and Accountants. PMG is regulated by the “Institute of Certified Public Accountants of Cyprus (ICPAC)”. We incorporate companies on behalf of its founding members and also act as the Resident/Registered Agent for companies under our management. All Bookkeeping, VAT – Value Added Tax, VIES -Vat International Exchange System and Auditing Work is completed under one roof. Cyprus has one of the most attractive tax regimes in Europe and the association with the OECD guarantees its loyalty to the internationally agreed tax standards. 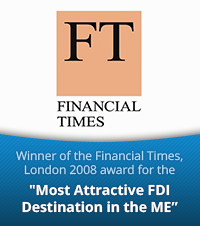 Other advantages include the fact that the Cyprus orporation tax is at the advantageous flat rate of 12,5%, which is among the lowest in the EU and that international corporate structures involving Cyprus in conjunction with other countries, regardless whether high or low tax jurisdictions, are fully acknowledged. The island is the third largest in the Mediterranean Sea and has positioned itself as a true financial hub and professional services centre for thousands of international companies. Cyprus is also an ideal gateway and platform for conducting business and investments to Europe (EU and non-EU such as Eastern Europe, Russia and CIS), as well as neighbouring markets in North Africa and the Middle East, noticeably the United Arab Emirates. The European client centre is located in Larnaca, Cyprus, approximately 15 minutes by car from Larnaca International Airport and ideal to run effective meetings, getting down to business and flying back to Europe the same day, or after an enjoyable dinner with a sea view, taking the first flight back in the morning. Based in Cyprus our clientele is mainly European. Many clients prefer to travel short distances and conduct meetings in their native language. Our staff is multi-lingual and we act as “the intermediary between client and government authorities” in Cyprus, the United Arab Emirates and other offshore jurisdictions. The direct client responding to our international marketing programmes such as paid internet commercials, organic ranking websites and more. Clients referred to us by pleased existing clients. The professional partner, lawyer, accountant, consultant and banker, being a member of our Agent Network Portal Management Consultants | Chartered Accountants | Lawyers setting up companies on behalf of their clients. PMG established a base - Consultancy, Registered Agent and Administration in Ras Al Khaimah, United Arab Emirates, in February 2012 with the main focus on bringing international investors, mainly from Europe to the UAE, noticeably RAK Offshore and RAK Free Zone, with a second office opened in 2016 to attract investors, reflecting on the launch of EXPO 2020, to the DWC Free Zone (Dubai South). We combine European core values and efficiency with Arabian economic strength, accompanied by the governmental approach of the UAE to encourage the growth of the private sector. Our clients understand that this alliance and a number of things combined, provide their businesses with an anchor of stability. The UAE operation works hand in hand with the Cyprus Client Centre being the European Springboard to the United Arab Emirates. PMG operates an agent network platform that enables international professionals to provide corporate solutions to their clientele. Members such as lawyers and consultants are able to check the current incorporation status, commission statistics, own marketing campaigns and reference links. We have implemented a written anti-money laundering programme designed to achieve and meet the compliance with the requirements for operations in Cyprus, the United Arab Emirates and other jurisdictions. The programme calculates the risk of clients. The company ensures the quality of the provided services applying an integrated system of quality certified by ISO 9001 and implements the undertaken projects with modern administration methods. Privacy Management Europe is fully ISO Certified and a member of the Institute of Certified Public Accountants of Cyprus (ICPAC – SELK) and licenced by ICPAC to provide Accounting and Administration Service Provider Services and to administrate companies registered in Cyprus.